January 5: In a written reply in the Lok Sabha Friday, the Minister of State (Health and Family Welfare), Ashwini Kumar Choubey emphasised on Government of India supporting the Menstrual Hygiene Scheme. To address the need of menstrual hygiene among adolescent girls residing primarily in rural areas, this scheme provides funds to States or UTs through National Health Mission for decentralized procurement of sanitary napkins packs for provision primarily to rural adolescent girls at subsidized rates as per proposals received from the States and UTs in their Programme Implementation Plans. The scheme primarily aims to increasing awareness among adolescent girls on Menstrual Hygiene. Majority of the women in rural areas do not have access to hygienic sanitary napkins around India. Hence, Improving access to and use of high quality sanitary napkins by adolescent girls in rural areas, is also a major part of the scheme. Also includes, ensuring of safe disposal of Sanitary Napkins in an environmentally friendly manner. One of the key components of the National Rural Health Mission is to provide every village in the country with a trained female community health activist ASHA or Accredited Social Health Activist. An important goal of Menstrual Hygiene Scheme is provision of funds to ASHAs to hold monthly meeting with adolescents to discuss issues related to menstrual hygiene. ASHAs across the country are trained and play a significant role in promotion of use and distribution of the sanitary napkins. 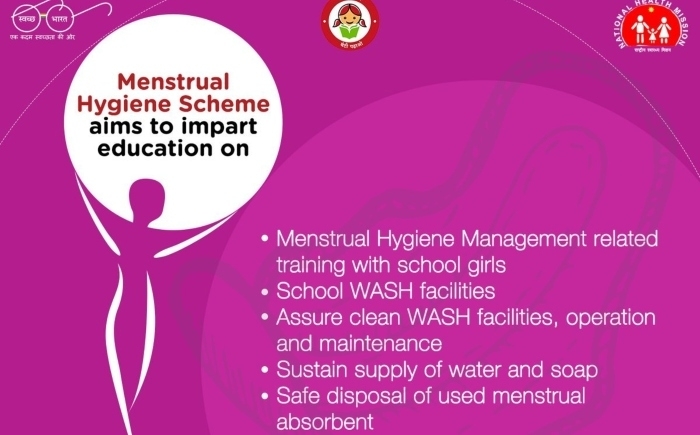 A range of IEC material has been developed around Menstrual Hygiene Scheme, using a 360 degree approach to create awareness among adolescent girls about safe and hygienic menstrual health practices. 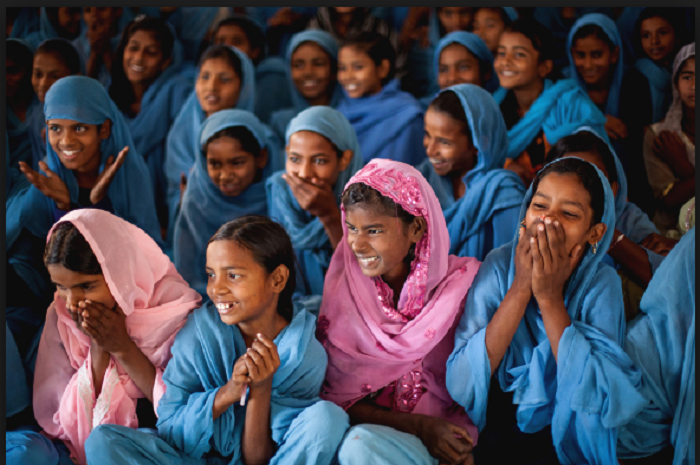 It includes audio, video and reading materials for adolescent girls and job-aids for ASHAs and other field level functionaries for communicating with adolescent girls.